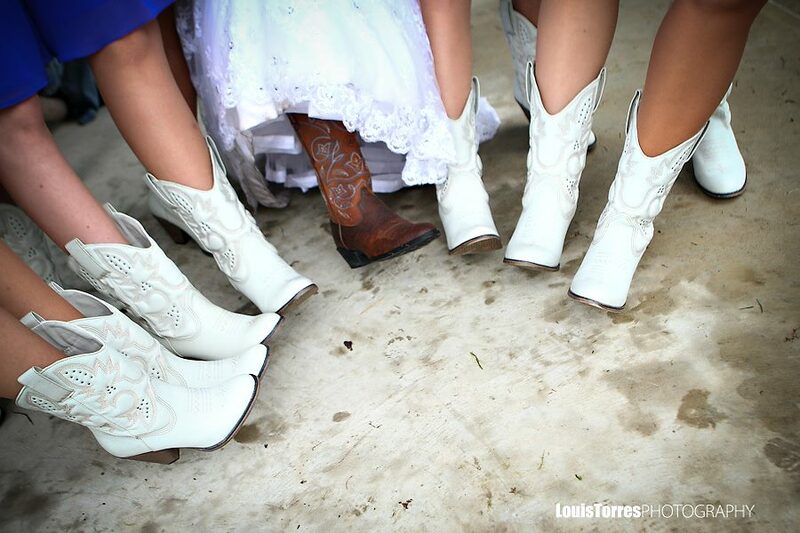 These Boots Are Made For Walkin’ – Deanna & Juan Tie The Knot | Beauty with Julie at Bar Beauty & Co.
Deanna and her bridal party sported these rockin’ cowboy boots down the aisle! 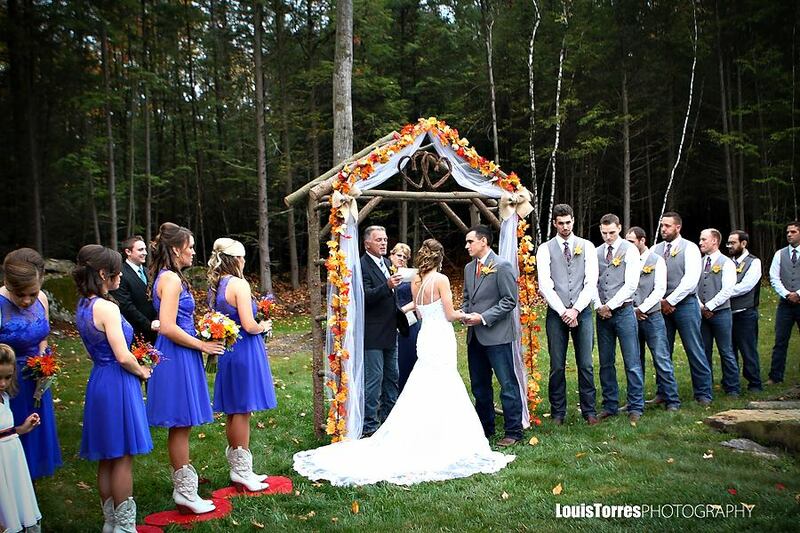 The girls’ American spirit glowed as they stood by Deanna while she married the love of her life, Juan! I met Deanna in March of 2014, when she came to me for her bridal make-up trial. I have had the pleasure of working with Deanna and her family for some time now! I really can’t say enough great things about Deanna’s wonderful family, and this dream outdoor rustic barn wedding they created for their sweet daughter. It was a pleasure sharing Deanna and Juan’s special day with them. Congratulations you two!! Click here to visit more photos from this beautiful day!